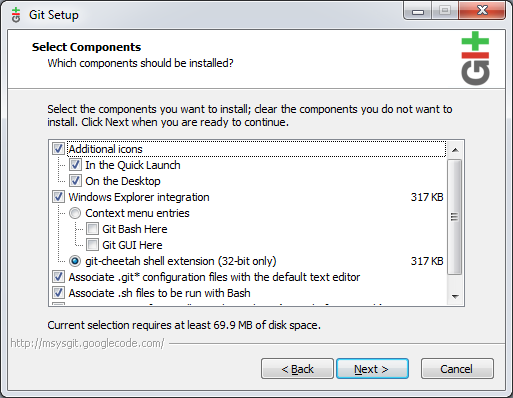 Git Installation steps are given below. Click on the downloaded exe file. Select installation folder,By default this will be installed under "C:\Program Files\Git". Select Components of git you like to install. 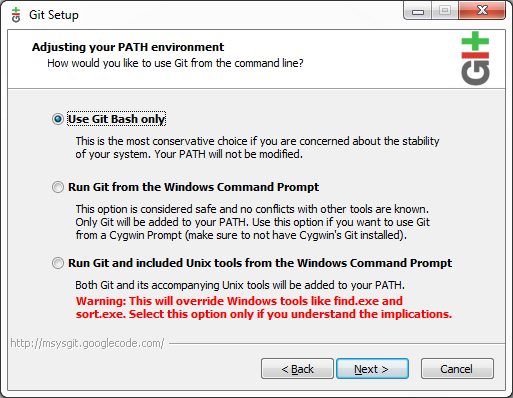 Use the default selection "Use Git Bash Only". 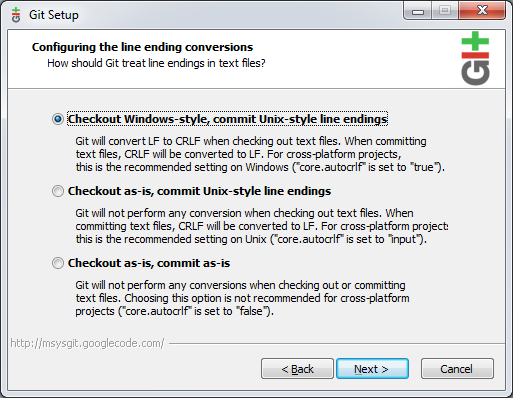 Use the default selection "Checkout Windows-style, commit Unix-style line endings". Click on finish button to exist the setup.